The art of breaking into the fashion industry is often misconstrued. There is no "one way" to get there; no "right path" to take. The journey is different and very personal for everyone. With that being said, you can learn a great deal through other people's journeys in the industry, whether they are designers, photographers, or models. Some were born with fashion in their DNA. Others had no clue it would become their passion or that they could make a name for themselves in the fashion world. If you have dreams of taking the industry by storm, check out these five books. Former Donna Karan PR genius, Aliza Licht is loved and praised for her savvy PR skills in the fashion industry. Medical student turned fashion lover, Aliza decided to pursue what she was most passionate about. After working at a couple of magazine brands and realizing that The Devil Wears Prada is not far from real life, Aliza landed a gig at Donna Karan that transformed her career. In her book, she talks about how to prepare for an interview, how to ask for a salary raise, and building your personal brand. Prepare to laugh and be inspired. This handbook is a must-have. It covers everything from how to get into photography to the day-in-the-life of an assistant to the Editor in Chief. 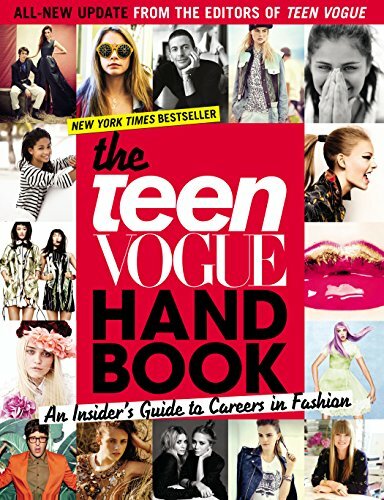 It also includes candid interviews from some of the industry's most accomplished designers and photographers, including Tory Burch, Jenna Lyons, Bruce Weber, and more. College dropout and former Subway sandwich maker, Sophia Amoruso is the ultimate #girlboss. After finding vintage pieces and selling them on eBay, she quickly grew her one woman business into a fashion sensation, Nasty Gal. Sophia is hilarious and brutally honest about her journey and what it means to run your own business. This book is perfect for aspiring entrepreneurs and badass babes. Definitely check it out before the show based on the book heads to Netflix on April 21, 2017. We all know of the Diane von Furstenberg fashion empire, but this is a deep dive into her life and the business behind the brand. Diane touches on life growing up in Brussels, becoming a princess, and advice becoming a financially independent woman. With honesty, wisdom, and her signature style of empowerment, Diane gives the meaning of what it means to be a woman. She discusses her family, overcoming cancer, and building a global brand while also giving back. In her candid memoir, Donna Karan opens up about her childhood in New York, dropping out of Parson's The New School for Design, and her four-plus decades in the fashion industry. She discusses her journey to self-acceptance and spiritual growth, and how to trust your instincts. Like Diane von Furstenberg, Donna shows the glamorous side of the fashion industry and the not so glamorous parts as well. Both women know that without a doubt, running a strong business while finding yourself takes hard work.